We’ve all been there. A story is churning inside us. There’s an ember wanting to be fanned into an inferno, but…Junior needs help with his math homework, and an avalanche warning has been issued in the laundry room. And then there’s the ever dreaded question — what’s for dinner? The ember doesn’t go completely out. If it did, life might be a bit easier. But stories, once conceived, don’t die easily. And thank God they don’t. Here’s the deal. We never have time. Never. We can’t save up minutes or days or weeks and put them in a savings account to gather interest. It doesn’t happen. Time is an illusion. It’s a wave crashing on the beach and no matter how much we want to grab it and hold it, we can’t. Even Publisher’s Clearing House can’t give you 5,000 extra minutes a week for the rest of your life. If only it was that easy. But time or no time, the fact is that writers must write. They write in a notebook in their car at traffic stops. They write while the chicken is defrosting in the microwave. They write mentally in the shower and when everyone, including the dog, has finally gone to bed, they sit down and get to work. If you want to wait until you “have time to write”, it will never happen. If there’s an ember burning inside you, a story yearning to be told, tell it. Next week is Halloween. There’s no better holiday to remind us of our limited time in this world. Time, as they say, waits for no man. And no writer waits for time. Here’s the cover of my debut Young Adult novel due out June 2nd, 2015. Go to Bittersweet-Enchantment.com for a chance to win one of five ARC copies! I remember being told that once you hold your baby in your arms, you forget about all the pain and the hours of labor it took to get to that moment. And it’s so true! This week I got to hold my book for the first time. 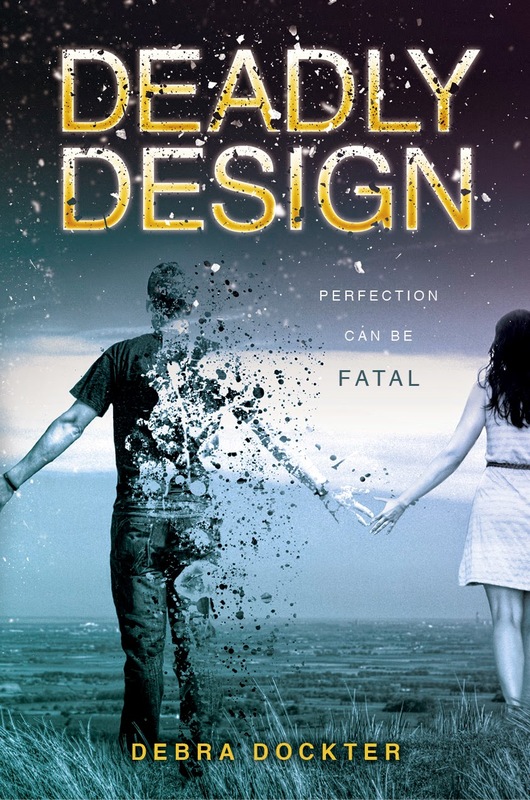 I opened the door to take the dog out, and there they were, the ARC copies of Deadly Design, my debut young adult novel. Like many writers, I’d fantasized about that moment, about what it would be like to hold my book in my hands. Was it everything i thought it would be? Yes, and more. Not because I’m so proud of my baby, but because I’m so humbled by the work that went into it, not just my work, but the work of all the people who made it possible. Not to sound like an Oscar acceptance speech — those things are boring enough — but it’s true. I think if had any advice for any writer, it’s to let people in, but the right people. Okay, let me clarify. My mom likes to give me her hand-me-down clothes. Most of them go directly to Goodwill but some of them I keep, that is until I put them on and my husband says, “You got them from your mother, didn’t you?” Then no matter how much I liked that particular blouse or skirt, it goes to Goodwill. When it comes to writing, and sometimes clothing, only let the people in who will be constructive. Beta readers are unbelievably helpful, if they’re good at what they do. My primary beta go-to is a follow teacher and writer, Robyn Hill. Even when I’m sure the dreaded red pen is no longer needed, she unsheathes hers like it’s the Excalibur of literature and finds enough errors to make it look like a small rodent was sacrificed on the pages. Do I want to weep at the sight of the red ink spilt due to my lack of grammatical skills and spelling errors? No. I want to get rich and buy Robyn her dream car! Beta readers help make certain we don’t get caught with our proverbial pants down. Beta readers help us to see the errors that our brains, and sometimes our egos, don’t want to see. Now, if you’re in a writing group where one person, or maybe two, constantly bash every one of your darlings and your ego along with them, you might want to ask yourself some questions. For example, do the same betas react as harshly to everyone in the groups writing. Do the others in the group seem to agree or disagree with them and are the nice people in your group the kind of people who want to be so pleasant that they’d never tell you if your skirt was tucked into your thong. You’re smart. You’re a writer. Chose people to show your work to who will be helpful and constructive in helping you achieve your goals and most importantly your craft. This is kind of my next point. Writing is a craft. I studied piano for years and ballet. If my teacher told me to point my toe harder or to play the sonata slower and I responded with a defensive “don’t tell me how to do it” I would have never learned anything. Writing is art. It’s the weaving together of words that truly transports people out of the difficult times in their lives, out of their difficult relationships, out of their hospital beds. Writing is magic and as a writer, you want to produce the best work you can. When I was working with my editor, Stacey Barney from Putnam, I was challenged like I’d never been before. There was one weekend where I had several rewrites that needed to be finished in three days. Yep — I got them on Friday and they were needed on Monday. I took a break and went to the grocery store and when I reached down into a large crate of watermelons, I paused, my body half in and half out of the crate. My daughter asked if I was okay. Yes, I was having a bit of a nervous breakdown, but my daughter refused to let me crawl into the crate, we came home, and I got it done. I tried to think of myself like an athlete trying out for the Olympics and Stacey was my coach. She pushed me to be my best because that’s what I wanted to be. I think of her and the truth is, I want to cry, but in a good way. Deadly Design wouldn’t be what it is without her and her assistant, Kate, or without the faith of my agent, Ayesha. Hilary Clinton says that it takes a village to raise a child. Well, it takes a lot of people to get a book on the shelf, too. As I’m writing this, it’s getting late. Mothers across the country are putting their babies to bed. As I tuck my copy of Deadly Design in for the night, I’m thankful for all the people who gave it life. For all the people who believed in it and believed in what it could become.